Every April, the town of Rincon, Puerto Rico winds down it's high tourist season with a flurry of events and festivals and this year is no exception! First up on April 9th is the 8th Annual Rincon Beachboy Standup Paddlebaord Race, one of Rincon truly memorable events for the whole family. Each year hundreds of SUP racers gather at the Hotel Villa Cofresi for Standup Paddleboard races in a number of different categories, including, kids, amateur and pro distances. Whether you are competing for the $10,000 in cash prizes or watching the race from the shore, the Rincon Beachboy is an afternoon full of excitement, fun and a great day for the whole family. www.rinconbeachboy.com for more info. 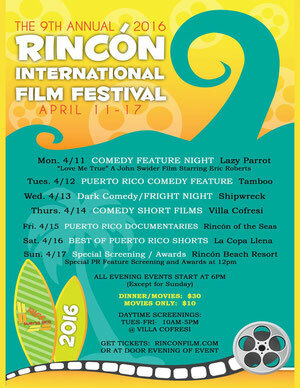 This will be the 9th Annual Rincon International Film Festival, April 11-17. This festival has grown each year with select films in Documentary, Drama, Horror and Comedy genres, as well as short and animated films. Evening screenings are held throughout the week at various locations in Rincon, with daytime screenings all week at the Hotel Villa Cofresi. The final night at the Rincon Beach Resort is a Special Screening and the awards. Many nights sell out early so to make sure you get your seat, buy advance tickets online, www.rinconfilm.com. 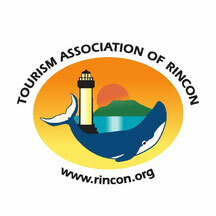 And we cannot forget about the Rincon Festival de la Ballena, (Whale Festival) held each year at the El Faro Lighthouse park. It is a two day event with local art, food kiosks and live music, held this year April 16-17. Each year this is a very popular event for locals and tourists with great live music. For updates on all Rincon Events and Festivals, see our website Upcoming Events Page and follow our Facebook page, enjoy your Rincon Vacation!